Ashley Iles are world renowned for producing quality tools, but as with many things, we sometimes miss items in product ranges that may be very helpful to us. 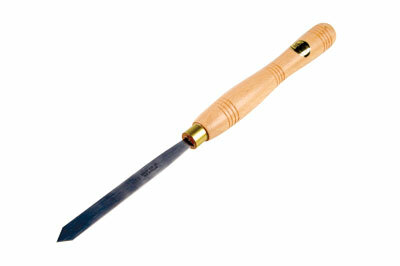 One such item is the 2mm (1/16in) parting tool from Ashley Iles, which can be purchased with or without handle. Parting tools come in myriad forms, and they are so useful, yet often under utilised. This one is a parallel-sided and is particularly useful when you require a fine parting cut and also to minimise wastage on expensive timbers. The blade is 161mm long (6 3/4in) long and despite the thin blade, it is surprisingly rigid. Although it is supplied with a 'standard' parting tool grind profile the grind you place on the end of the tool will ultimately come down to your personal preference. As with bowl gouges, we are likely unable to cope with all situations with just one parting tool, so a thin bladed tool like this in addition to the 6 or 9mm (1/4 or 1/2in) versions will suit the majority of situations you are likely to encounter whilst turning. I found the tool performed exactly as expected. 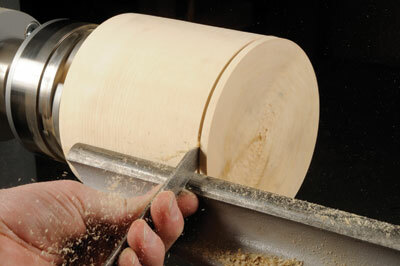 It does create a fine cut and holds a very good edge. If you are looking for a thin parting tool it would be worth your while considering this one as an option. "It would be worth your while considering this one"